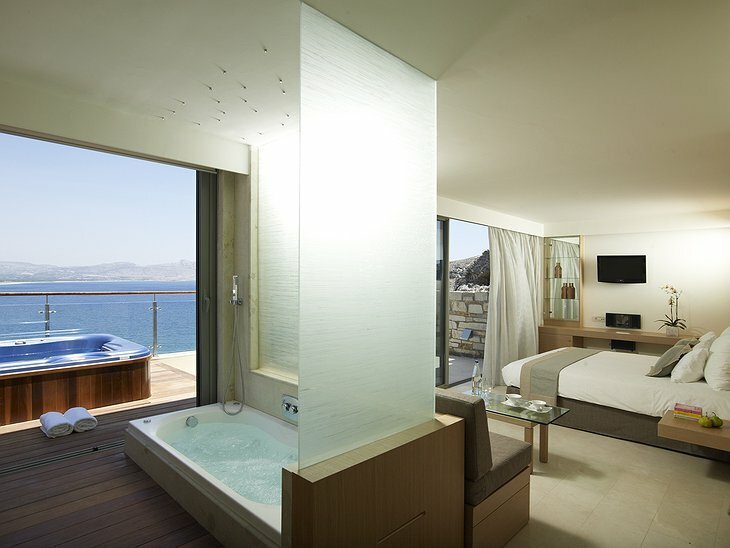 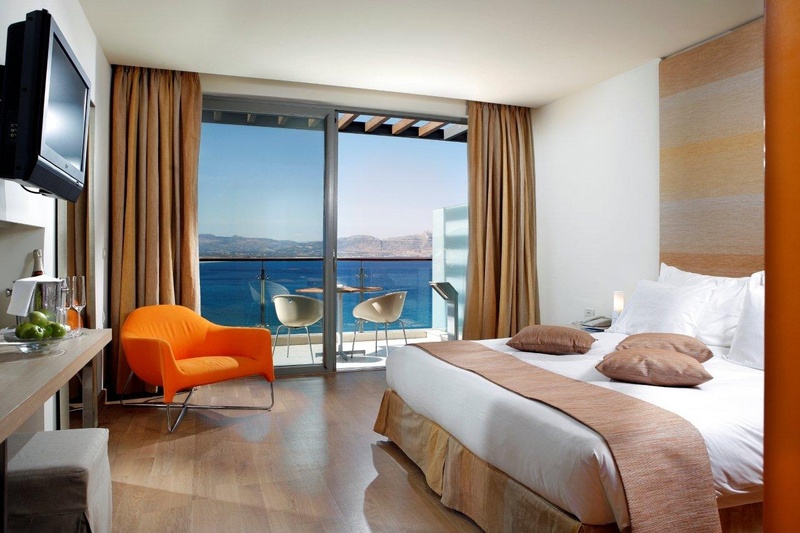 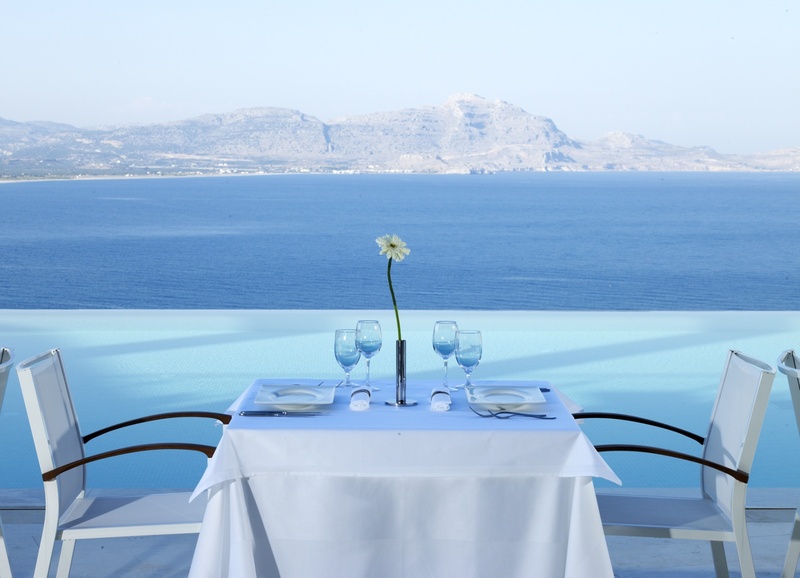 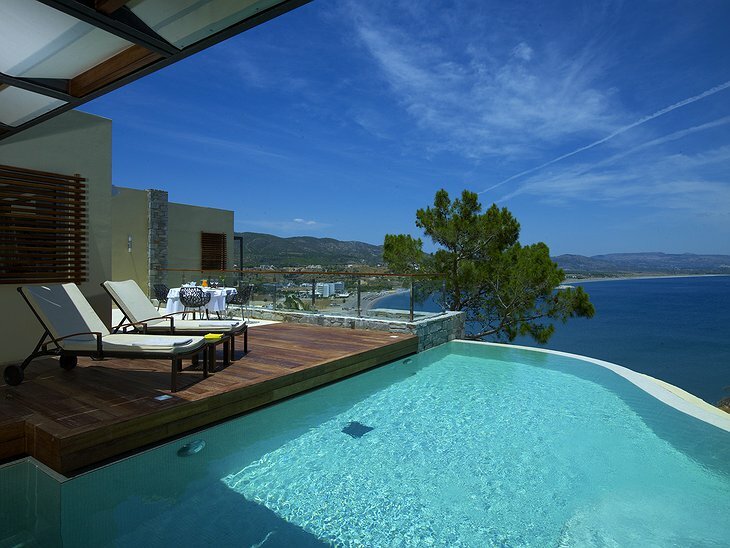 This hotel commands a view of the Aegean Sea built, as it is, onto a rocky hillside on Rhodes. 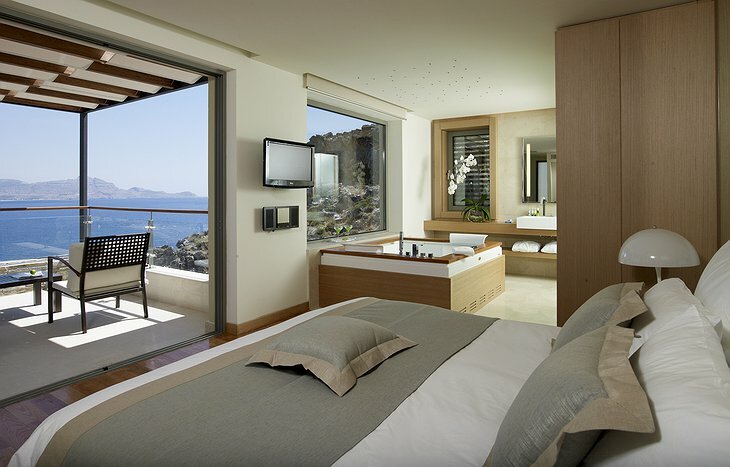 The architecture takes inspiration from the traditional buildings of the island, mixes a little minimalism and lets in a sweet breeze. 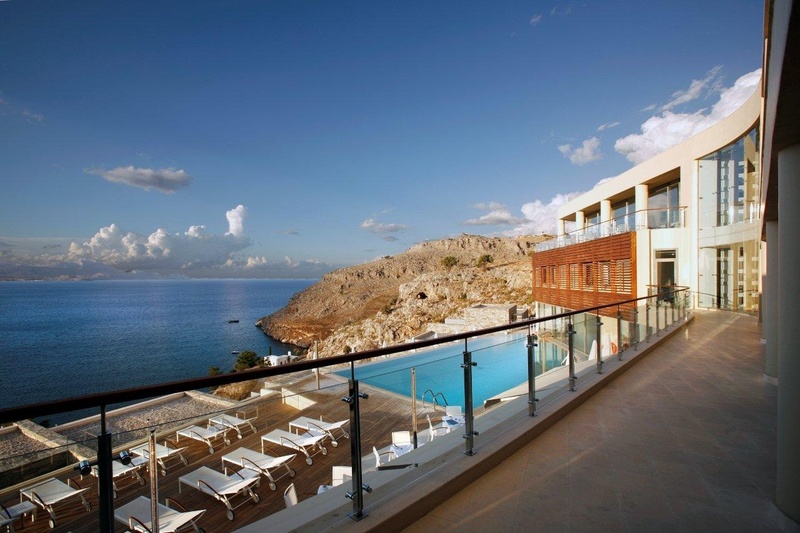 Nearby is the village of Lindos where the sound of merry mandolins can be heard coming from the hearty taverners. 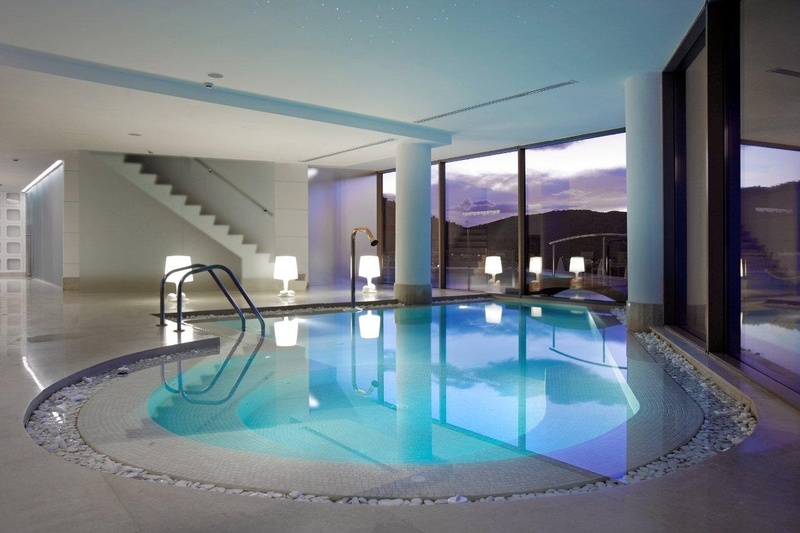 Adult-only, this classy resort is made up of villas and maisonettes, some with hot tubs and others with private pools, and there is a staircase that leads directly down to the beach. 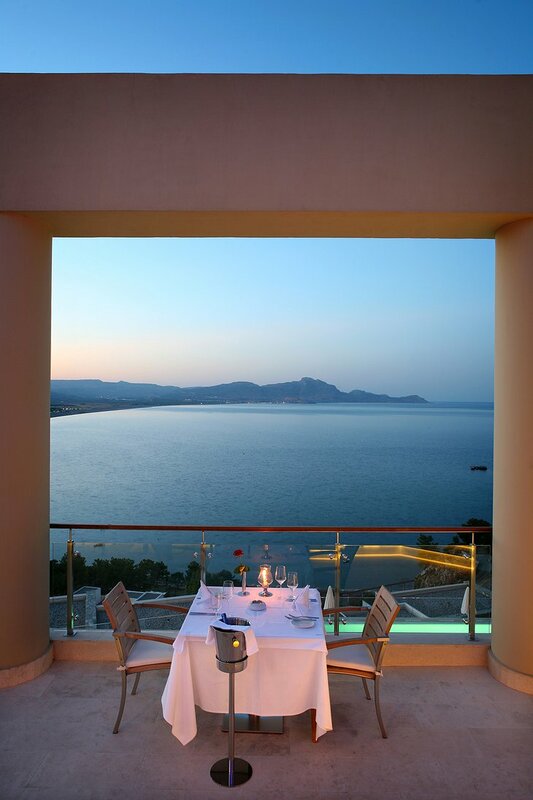 There are two restaurants, the Smeraldo, which serves breakfast and traditional Greek and Mediterranean dishes, and the Five Senses restaurant for the fine dining experience. 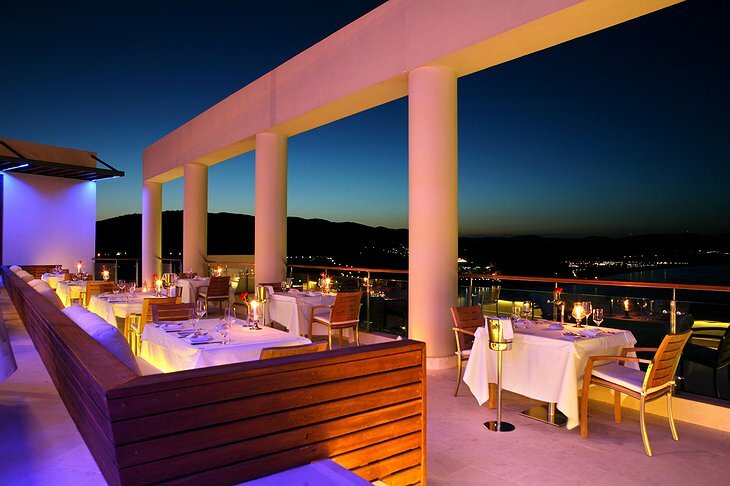 There is also a large terrace so you can dine with a view of Vlycha Bay. 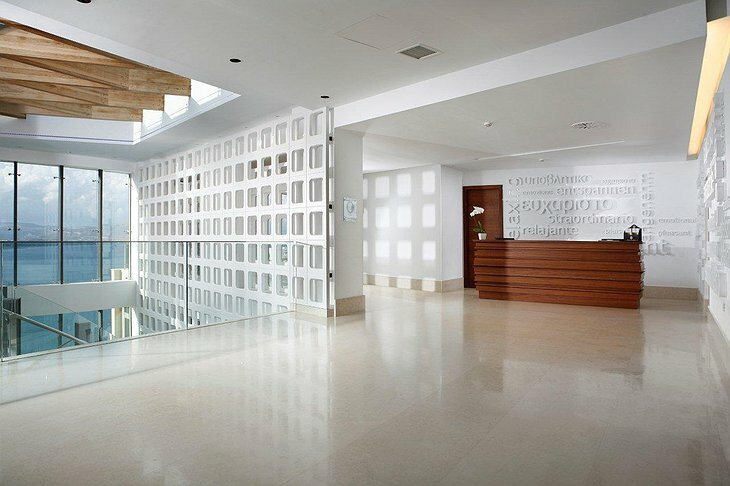 The spa has a range of treatments and the gym has a large glass window that overlooks the bay. 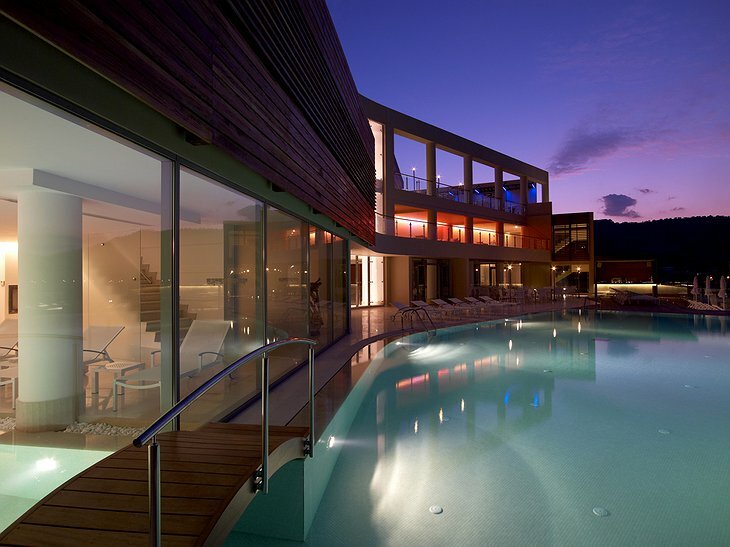 This is a hotel to loose yourself in a sophisticated environment.